Derry, NH - The SportsZone hosted over 72 teams for the AAU girls district qualifying tournament for the National Championships. 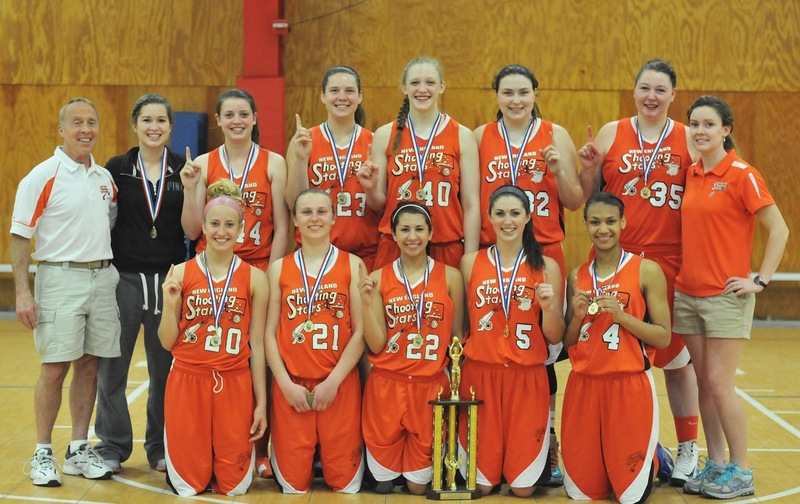 The New England Shooting Stars won the 15U 10th grade tournament championship, in spite of being without one of their top three point shooters, Colleen Frey, (Pelham, NH) due to a shoulder injury. The Stars first opponent was the Barrington Storm and found themselves trailing by one, 28-29 at half time, the Stars stayed in the game in large part to hitting 8 out of 10 free throws and Brittney Roche (Londonderry) hitting two key three pointers (8pts total), and Tayler White (Keene) with 6 points. The Stars defense held the Storm to 21 points in the second half; while Vanessa Fleury (Lebanon) scored 11 points in the second half (15pts. total) and secured 10 rebounds, while Rachael Cormier (Andover, MA) and Megan Collins (N. Andover ,MA) supported her efforts with 10 and 9 points respectively, securing a 54-50 victory. The Stars next opponent was the Stateline Jammers and held a 25-14 margin at the half, with Sammy Trearchis (Tyngsboro, MA) hitting on 5 of her 7 points and Cormier and Roche with 6 points each in the first half. “Our defense absolutely fell asleep in the second half and we were very impatient offensively” said Stars Coach Dennis Reed, which resulted in a 47-37 loss for the Stars. As the second seed in bracket play the Stars faced the NH Elite, and with their defense back on track garnered a 52-25 win on the strength of Jackie Panneton (Salem, MA) 14 points and 8 rebounds and Tyra-Ann Scott (Methuen) contributing with 6 points, 2 steals, and 2 blocks. While Rene Roggenbuck (Goffstown) chipped in for 5 points, 11 rebounds, 4 steals, and 3 assists. Advancing to the semi-final round in the championship bracket the Stars faced the Northeastern Lady Panthers, and came away with a 57-29 win. The Stars were led by Collins with 13 points, 6 rebounds, and 2 steals and Panneton with 10 points, 11 rebounds and Scott with 9 points, Trearchis (7pts), Roche (4pts) and Hannah Neild (Litchfield) with 4 points, 3 rebounds and 3 steals. The Stars earned a rematch with the Stateline Jammers for the Championship game. The Stars recommitted to defense holding a 21-15 advantage at the half, going on to win 41-29, on the strength of Collins 13 pts, 5 rebound and Cormier’s 11pts, 4 assists and 3 steals. “It was especially encouraging to see the girls play totally unselfish basketball and really focus on their defensive effort, Reed concluded as his team secured their 21st State championship in 22 years”. The Stars will continue their season with Tournaments in Rhode Island, Springfield MA, Albany NY, Burlington VT, Scranton PA, Orlando FL (National Championships), and Washington DC (US Junior Nationals). Front (L to R): Rachael Cormier, Megan Collins, Sammy Trearchis, Tayler White, Tyra-Ann Scott. Back (L to R): Coach Dennis Reed, Colleen Frey, Hannah Neild, Jackie Panneton, Rene Roggenbuck, Brittney Roche, Vanessa Fleury, Assistant Coach Erin Leary. Great tournament! 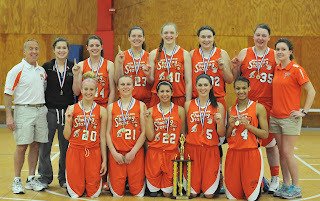 It was fun to see the Jammers, The Barrington Storm and the Shooting Stars play such competitive basketball. All 3 teams have quality teams. The were definitely the top teams there!